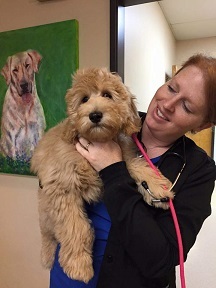 Our goal is to offer first quality veterinary care to the Memorial area. The well being of our patients is top priority. Our caring and knowledgeable staff are available to give your pets the time and attention they need. We understand your concerns about your pet's well-being. Therefore, we strive to keep you, our patient's caregiver, informed regarding it's needs. Whatever role your pet plays in your life, you as it's caregiver are important at Memorial Town & Country Animal Clinic. And, we will be glad to explain your pet's condition to you. Aided by advancing techniques, equipment, and knowledge, our staff has the ability to wisely care for your pets giving them the highest quality treatment. We are equipped to offer many modern diagnostic services including radiology, electrocardiography (EKG), ultrasound, and in-house laboratory bloodwork. Once a diagnosis is made, we are staffed to meet most surgical and medical needs.